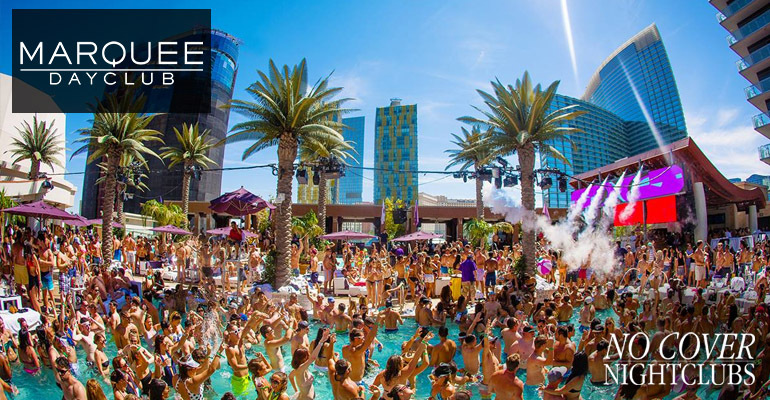 Marquee Dayclub is located on the second level of the Cosmopolitan Hotel & Casino. The escalator located near the high limit area of the casino will take you directly to the entrance of the club. Another great point of reference is the Chandelier Bar. The front entrance of the club is near it on level 2. From the main valet head straight through the casino, and from the lower level self parking area you’ll be heading up to find Marquee. How Much Is Marquee Dayclub Cover Charge? Dress code is required to ensure entry into Marquee Pool, especially for men. To avoid any problems getting into the pool party it is recommended that everyone wears pool attire. Men should have swimsuits. Know that pool parties do not usually allow cargo shorts, athletic shorts, jeans, or jerseys. Hats and sandals are of course allowed. Check out more tips for Las Vegas dayclubs. 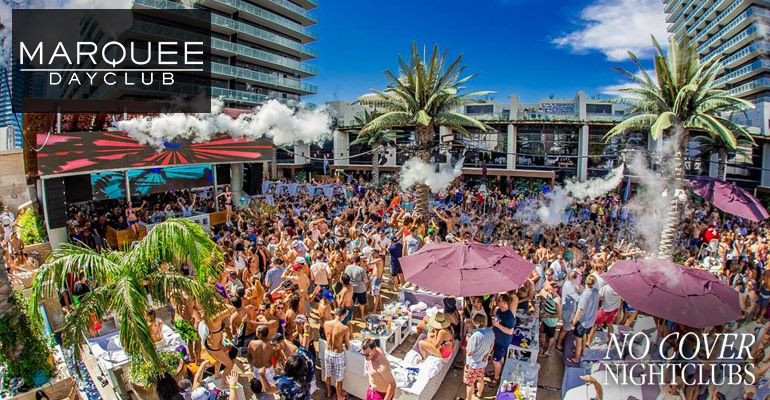 Marquee Dayclub has been a special place for me in Las Vegas and was the first pool party I ever attended. While it is smaller than some of the other pools it has a great balance for those that want to relax and those that want to RAGE. It has a fun atmosphere with multiple pool and multiple bars. Since it is smaller you might want to get there early.